WolvesVsLions was established 6 years ago and has been featured on IATT multiple times. Over the years this brand has seen many different phases, but this will be the largest shift since inception! WolvesVsLions is embracing the message and aesthetic it has worked to establish to it’s fullest, by bringing in a new change. WvsL will now be known as Dead Flesh Co. Though many will see it as the death of a brand, we see it as a much needed fresh start to further focus our goals. 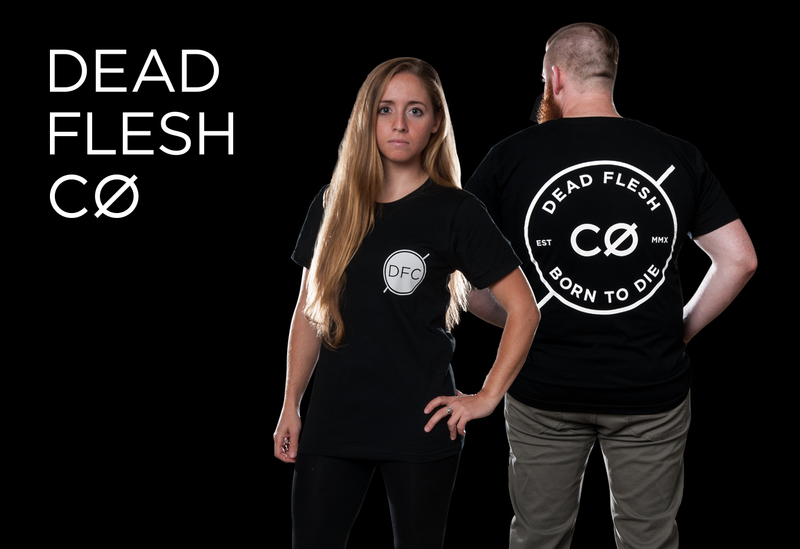 With an ever growing passion the Dead Flesh Co. will continue to bring black and white graphics, our LIFEsupport donation platform, and our call for cultural change. Our clothing will be designed, made, and printed in America from now on and the printing is the same soft-hand quality you have come to expect from our brand. For our initial release we have a new beard oil and t-shirt in the store. In addition to these new goods we also have a new shop section called ‘The Bone Yard’, where you will find our past shirts as low as $5! We are excited to see what this new beginning will bring and the lives it will continue to impact.